These two fantastic sell out tribute shows have packed the house several times this year. We have decided to combine the best of those two tribute shows and present them in one magnificent evening at the Cactus Theater. It’s amazing how many smash hit songs were featured in these two wonderful concerts. Come hear songs like “America”….“Red Red Wine”, “I Am…I Said”…“Sweet Caroline” and more by Neil Diamond - AND - the magic and “One of These Nights”…“I Can’t Tell You Why”…“Peaceful Easy Feeling”…“Life in the Fast Lane”…“Hotel California” and other legendary Eagles songs. 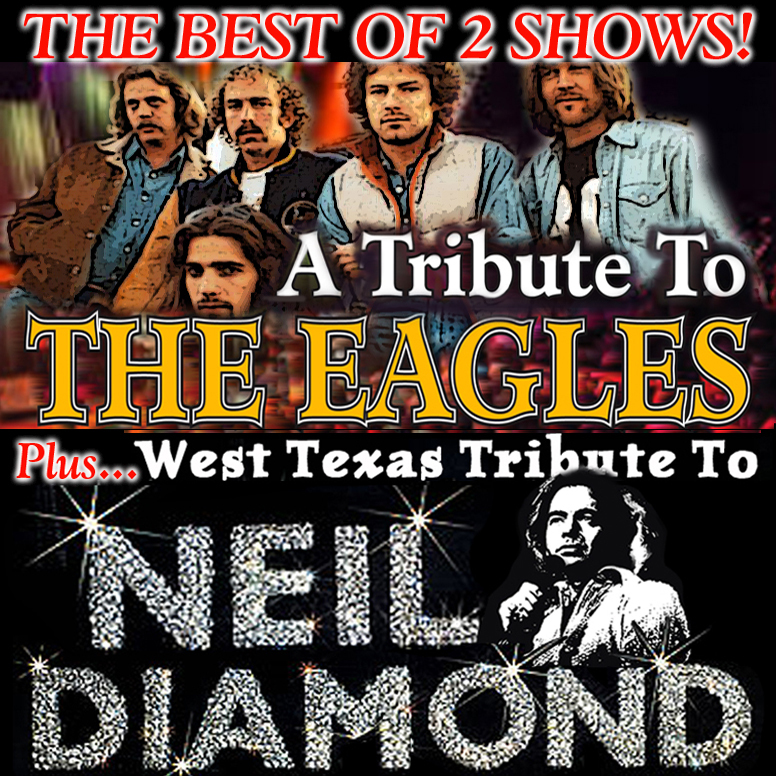 Join the Cactus Theater and the Caldwell Collective cast featuring Brandon Gwinn, Haley Simpson, Lucas Tomblin, Avery Guyear, Jeff Bailey, the band and other special guest performers for a night to be remembered as we present the hit songs of the Eagles and Neil Diamond in ONE COMBINED SHOW! Del McCoury Band - Legendary Bluegrass - Live at the Cactus!